Welcome Gusto, that will make your mouth water with a modern widescreen layout and tons of features and options. 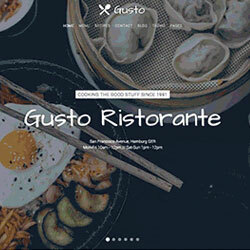 Gusto comes with a number of exclusive demo pages, perfectly fitted for gastronomy related websites. It features new and improved Warp options as well as additional block designs.